The “interruption model” of advertising originated in the radio business and then made television flourish. This model has been predominant for a long time. It is important to see in which direction it is heading now because it affects the role and the market share of other media — including Out of Home (OOH). As recently as 15 years ago, people had little choice but to tolerate 15-20 minutes of TV commercials in exchange for 40-45 minutes of programming content. Skipping ads was not possible unless one took a bathroom break. Stealing content was not possible either. Because of that, TV networks and radio stations had the upper hand over consumers and, consequently, over advertisers. Media empires were built on this model. After several decades of undisturbed television monopolies the TV networks, the agencies that were built to buy TV and the audience research firms proceeded to believe that this bonanza might go on forever. The on-air radio market share is squeezed by streaming platforms, MP3 players, satellite and Internet radio, radio apps for phones and in-car digital devices. Traditional TV viewing share is being eroded by video-on-demand, streaming services and content piracy. Television still commands big ad budgets, but they are consistently getting smaller as the money is being shifted to new, often more promising advertising options. There is abundant evidence that ad agency holdings have been caught off guard by the recent changes in media technology and the resulting complexity, most notably, by the new weapons in the hands of the consumers — the smartphone and its younger cousin the tablet. The recent record number of agency reviews by biggest brands is another sign of a major turmoil in the ad markets. Out in the field, new technology and consumer behavior are changing the media world faster than the traditional ad industry establishment can adapt to them. 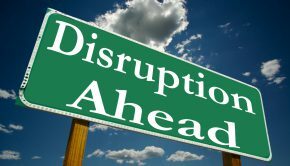 The term “disruption” is now used in almost every article about advertising. When I try to make sense of the changes, I see two major trends in the evolution of advertising media. To mask the problems of traditional television, most stakeholders started calling it “video.” Their new mantra is now “cross-device” or “multi-screen” video viewing. It is true that people are watching more videos on more screens than ever before. According to Y&R CEO David Sable, in 1999 there were just 26 TV series. In 2014 there were 1,715. Considering that, apart from TVs, the other screens are desktops, laptops, tablets or phones, we are simply talking about viewing entertainment content online via devices that are not TV sets. In essence, the concept of “following the consumers on their multi-screen journey” by inserting commercials on every device is still the good old (and much hated) interruption model disguised as something new and shiny, because it has the words “digital” and “mobile” in it. The Wall Street Journal reported last year that “the only thing consumers hate more than TV ads are online video commercials.” The survey results are a warning for the long list of publishers, digital companies and media companies that are pushing more and more video content online with hope of grabbing a piece of the online video ad market, says the paper. Although obsolete, the interruption model will not go without a fight, as too much money is at stake. While it strives to survive, consumers are exploring numerous alternative ways of obtaining quality content that have become available in recent years. The near-monopoly status of the interruption model has come to an end. Platforms that give people access to premium content without ads are growing in a phenomenal way. The best examples of that are Netflix, iTunes and music streaming platforms. Reports suggest that Netflix is not quite profitable yet, but its 65-million subscriber base keeps growing and the company spends millions on top quality content. Within traditional TV itself, DVR (digital video recorder) usage soars, allowing viewers to skip commercials. According to Leichtman Research Group, more than three quarters (76%) of US homes have a DVR, subscribe to Netflix or use video-on-demand from a cable or telco provider, up from 70 percent last year. Apart from eliminating the annoying interruption factor, the new platforms also offer people much more flexibility compared to the classic on-air or cable TV. Once Netflix or its competitors figure out how to get a sufficient flow of quality content, this formula will be set to prevail over the interruption model. Whether it’s Netflix or not, it is only a matter of time before someone makes this model profitable. In 2007, studies said that every US citizen was bombarded by more than 2,000 advertising messages a day. Today this number has grown to 5,000 daily messages. As we established, 15-20 years ago people had no choice but to tolerate commercials. The difference today is that consumers are “armed and dangerous.” They can time-shift to “zap” the TV ads with their DVRs. They can block ads on the Internet. They can subscribe to ad-free content services. They can “cut the cord.” Unfortunately, many resort to stealing the content via piracy sites. Decades of ads unceremoniously interrupting people’s leisure time have finally resulted in a massive backlash of ad rejection. Consumer demand for ad avoidance has produced an abundant supply of technologies for ad blocking and ad skipping. The story of Taxi TV is a classic case of an interruption model used in digital OOH media. For nine years, NYC yellow cabs had small TV screens installed in the back of the front seat that doubled as a credit card payment terminal. The screens ran loops of news and entertainment video clips interspersed with ads. It would seem a perfect scenario for advertisers — a captive audience directly in front of the screen with nowhere to escape for a good few minutes. In October 2015, the NYC taxi commission voted to pilot a new payment system in order to eventually replace Taxi TV.The commission said the decision followed mass complaints by riders about the monitors’ “blaring noise, repetitive programming and uncooperative power buttons”, as reported by New York Times. Interruption is what gave advertising the bad reputation, and traditional media owners are now paying the price with declining audience numbers and shrinking revenues. The ad-blocking issues plaguing the online advertising industry are also largely a reflection of the consumers’ response to interruption-based ads such as pop-ups, pop-unders, pre-rolls and whatever other formats were created to replicate the obsolete TV ad model online. Meanwhile, the non-intrusive online banner ads and Google AdWords’ contextual ads face little opposition. The consumers have stated their choices loud and clear: Content is good. Interrupting ads are bad. Somehow, in our anti-ad rage, we forgot that by its nature advertising is supposed to give us information about the products and services designed to improve our lives. The irony is people never stopped looking for that information. They just don’t like it being shoved down their throats when busy doing something else. Tobacowalla used this metaphor in his presentation: today’s consumers (empowered by smartphones) are the modern-day David who is now capable of defeating Goliath (marketers). Along with “disruption,” the word “revolution” is used a lot today to describe how technology changes media. According to Marxist theory, a “revolutionary situation” occurs when “the masses no longer want to live the old way, and the rulers are no longer able to govern the old way.” If we apply these criteria to what’s happening in the medium that still gets the biggest ad budgets — television — we will see the makings of a classic “revolutionary situation,” which often leads to an actual revolution. 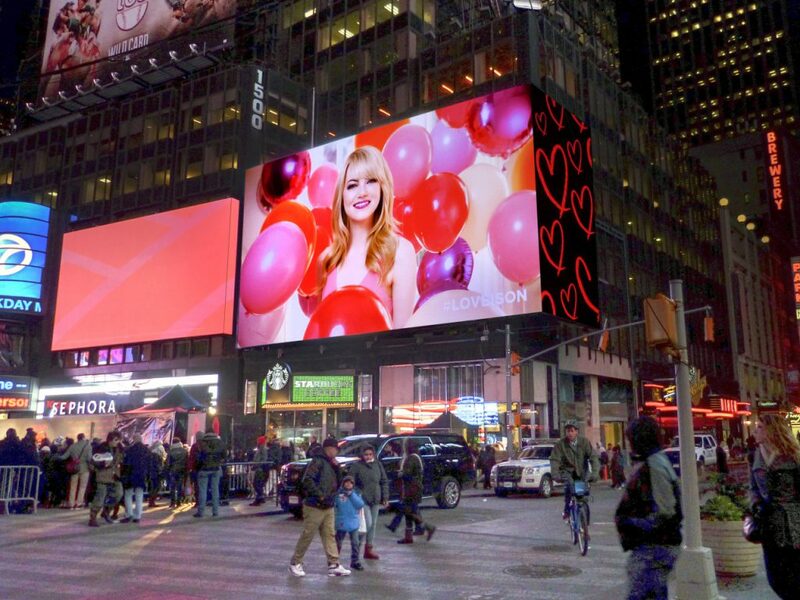 Against the backdrop of consumer revolt and chaos in the ad markets, OOH advertising has emerged as a clear favorite. OOH appears to be the most straightforward and honest medium that works best in pure play advertising mode. There is no need for filler content; therefore no interruption and no negative associations take place. People see OOH ads while they are on the go, when they are most receptive to useful information. OOH is already the only true mass medium left. It is used equally well in local, regional and national campaigns. This factor alone can be a guarantee for the medium’s bright future as more brands are rediscovering its value. But there is much more. Oddly, in the digital age, the main metric for the interruption model is still impressions. Anyone who works in ad sales knows it’s a speculative and inaccurate currency. To add to the ambiguity, the existing audience ratings are mostly those of the programs and not so much of the commercials. The next frontier in achieving a greater return on the OOH ad investment is mobile purchases triggered by OOH ads. Such transactions are being made easier every day as the technology gets upgraded. The new, real-time targeting capabilities for OOH are also made possible by using the anonymous mobile user location data. OOH is free from ad fraud, viewability and ad avoidance problems that cause discontent on the part of online advertisers. According to Media Life Magazine there are three main reasons for OOH’s continued health compared to other traditional media. The first and most notable is that unlike print and broadcast, OOH is not seeing advertisers flee to digital. Another key to OOH’s steady growth has been its ability to integrate neatly with the hottest thing in advertising — mobile. Finally, top ad categories increased their OOH spending in the third quarter of 2015. Retail, the No. 2 category, was up 10 percent, to $16.4 million, the biggest growth for any top-10 category, reports Media Life. In Q3 2015, OOH marked a 22nd straight quarter of growth, according to the Outdoor Advertising Association of America (OAAA). The first ads were the Egyptian obelisks (hence the OBIE Awards, the world’s oldest advertising awards). The new obelisks today — OOH signs — are transformed by digitization and fit perfectly in the modern age. The 100 years of radio and 60 years of television commercials based on interruption seem like a brief moment of broken logic, compared to several thousand years of OOH. One of the remaining issues is the ease of buying. 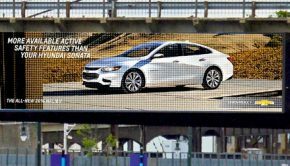 When OOH is finally made as easy to buy as TV is today, whether it’s with the help of programmatic or not, the flow of ad dollars will accelerate, and so will the growth of OOH’s ad spend share.